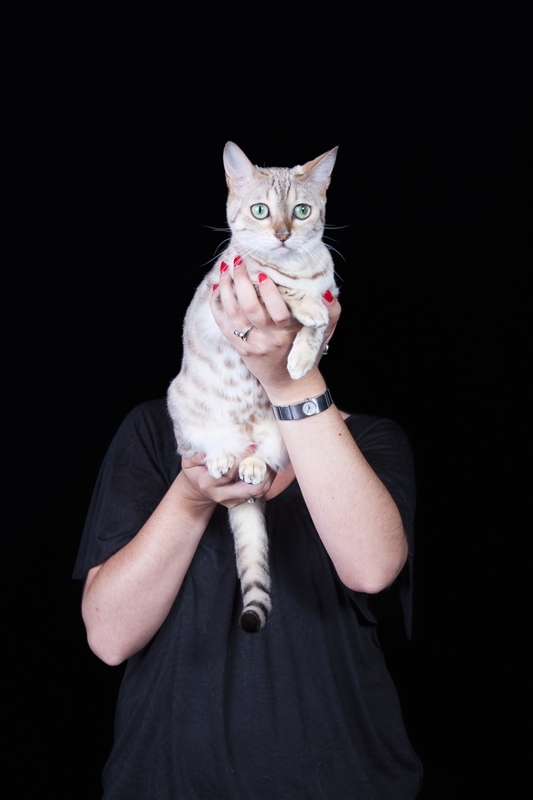 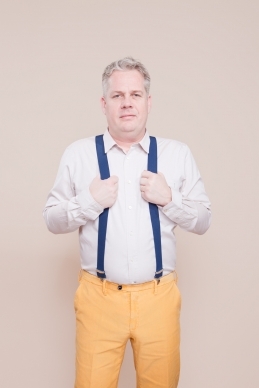 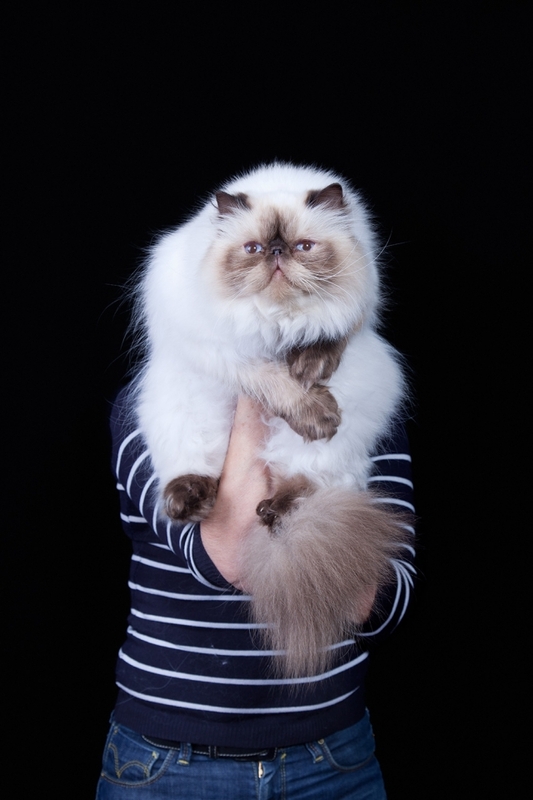 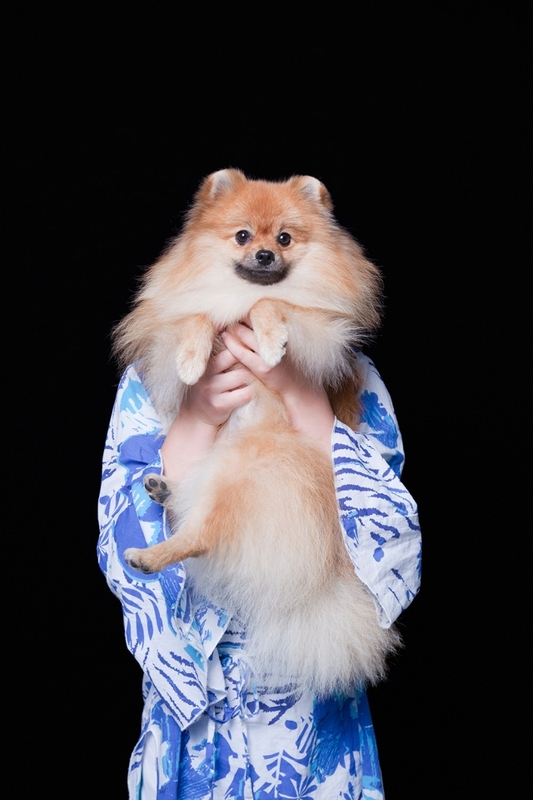 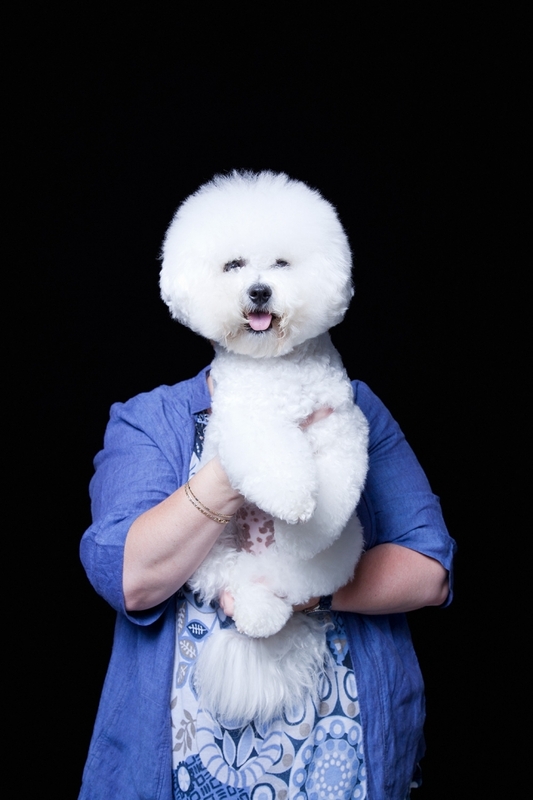 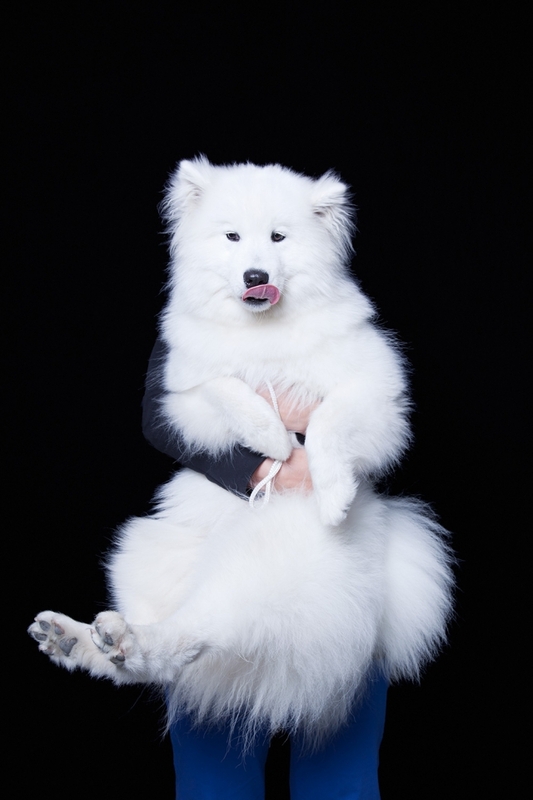 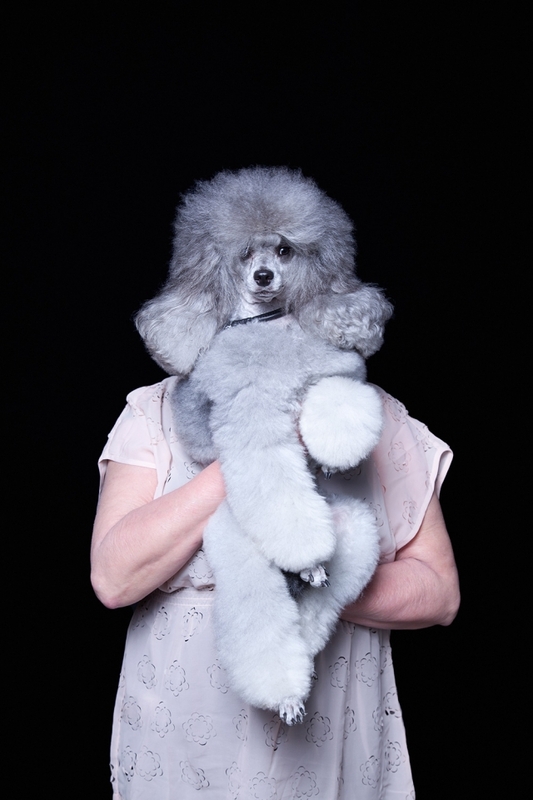 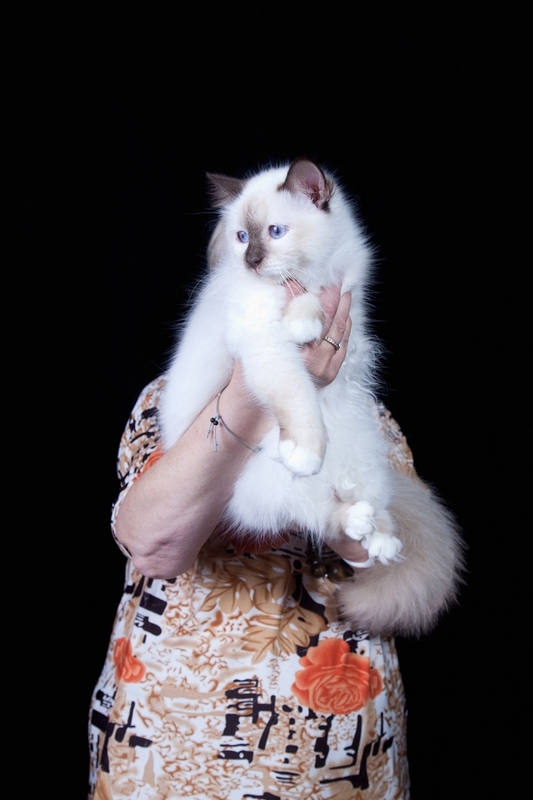 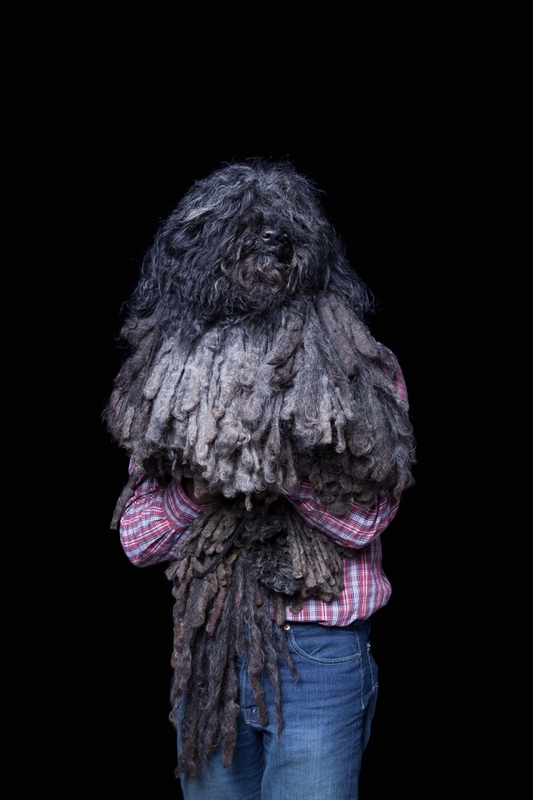 I visited dog and cat shows and photographed several pet owners with their pets. 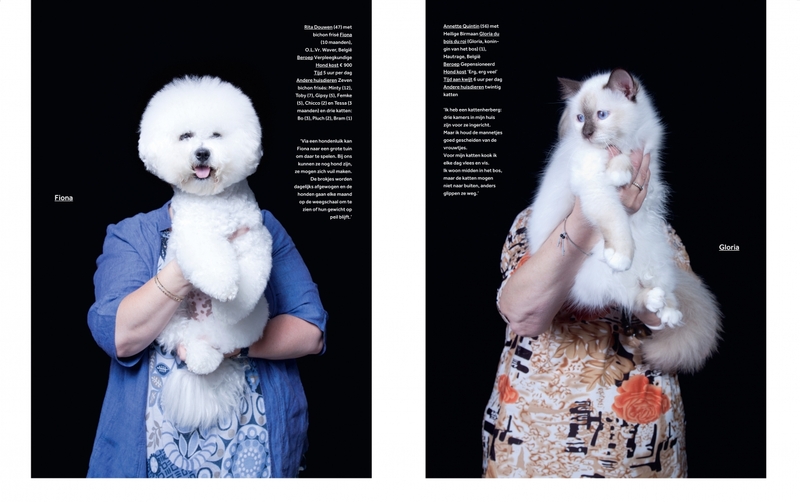 I asked the owners to hold their pet in front of their face in order to create a new silhouette out of the two. 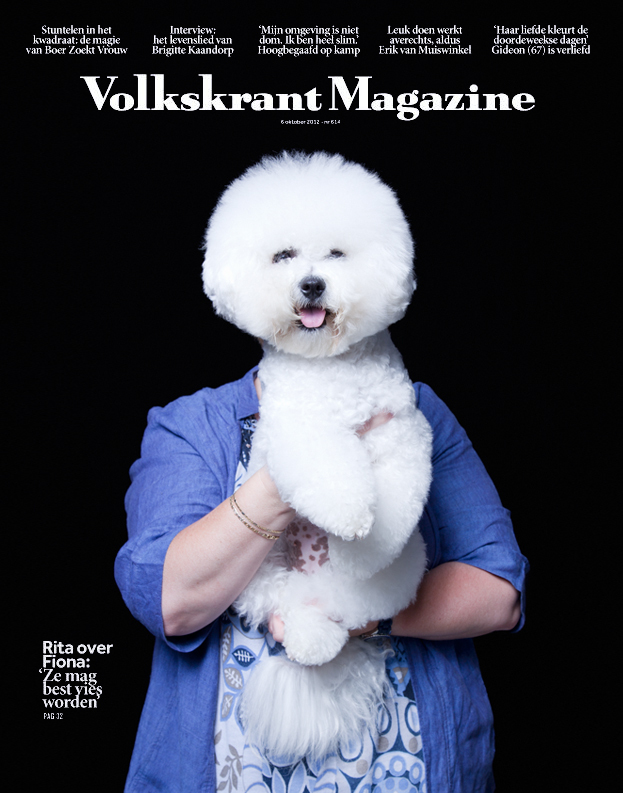 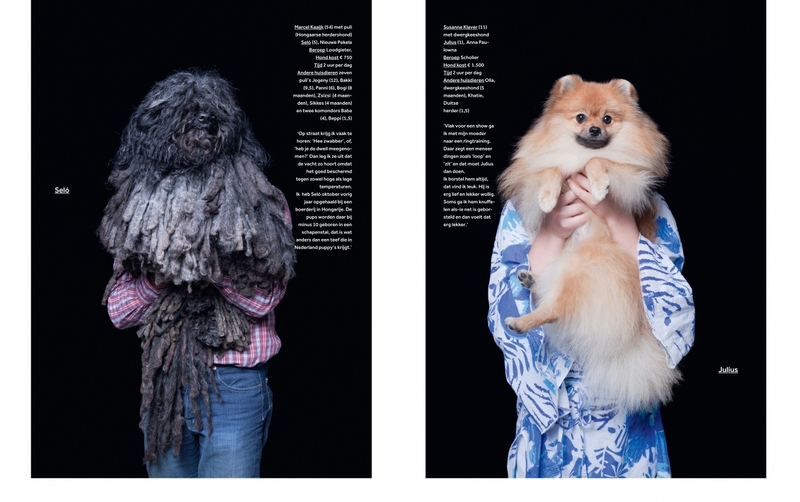 The series was published in the Dierendag (World Animal Day) special of Volkskrant Magazine. 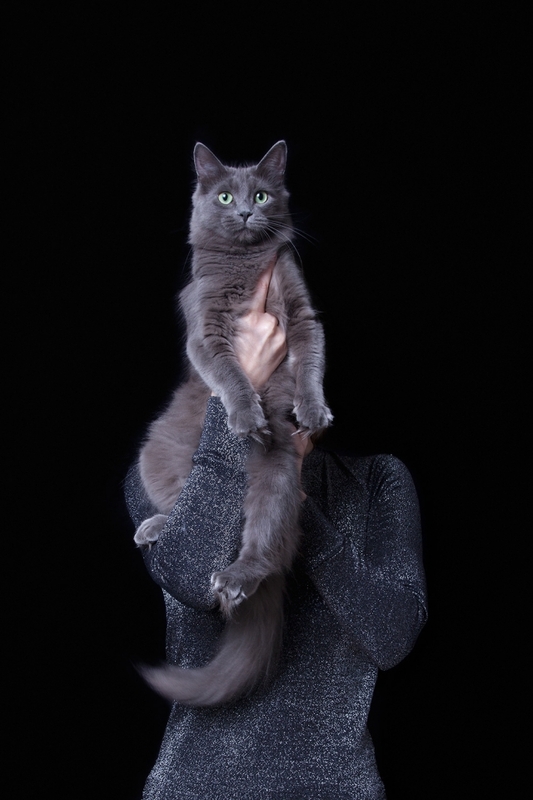 I’m also in the series with my cat Zaza, a grey Nebelung cat.